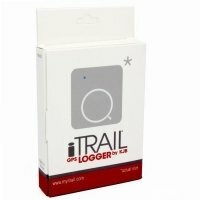 The iTrail logger is a simple solution for multi-purpose GPS Tracking. You can use it in almost every situation imaginable. Use it for personal DIY or business loss prevention and inventory shrinkage. Keep track of your car’s location or the location of other valuable possessions. Keep an eye on what matters most with this discreet device! All iTrail Products include KJB's Commitment to Customer Service and Free Technical Support. 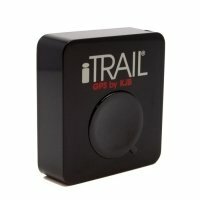 At just 1.5 x 1.5 inches, the iTrail GPS Logger is one of the smallest trackers you can purchase. A durable, sleek and water-resistant design allows you to quickly put in your purse, child’s backpack or in your car or anywhere else you might need it. It is designed to blend in and not draw attention to itself. While the itrail logger does not send continuous data about its location the small size makes it easy to retrieve from your tracked subject and review their locations. 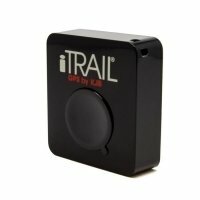 The iTrail GPS Logger is easy to set up and put to work. Just install the software onto your computer and give it a charge using the included USB cable. You’re ready to start tracking! Simply power on the tracking device and place it in whatever you need to track. When you’ve completed your necessary tracking, just plug the device back into your computer and take a look at the report that shows everywhere the device has been. 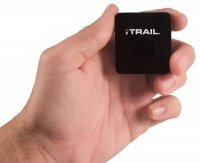 The iTrail GPS Logger records location, speed, and the current time. Google Maps or Google Earth is used to log all of your tracking data. You can download and print the information in a variety of easy-to-read formats including as a PDF, Word, HTML, or CSV document. Or quickly and easily send and share the tracking information. 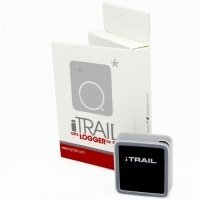 The iTrail Logger is also an economical tracking option. There are no monthly service fees! Since the device doesn’t transmit your tracking data over the Internet in real time, there are no additional fees of any kind. You just pay for the device and you’re good to go for multiple uses and purposes. The iTrail GPS Logger comes with up to 16 hours of battery life and motion activation. With this feature you preserve battery life so you can record as much data as possible. The device can store up to 120 hours of tracking information. It is also available with a magnet mount for a car. To activate your iTrail GPS logger download iTrail Driver & the iTrail Software. Install the iTrail Driver first then install the iTrail Software Version 4.0, with the Logger powered off plug it in your PC. 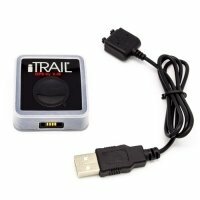 This will automatically activate your iTRAIL GPS Logger. Because Microsoft no longer provides any support, updates or security patches for Windows XP or prior we are no longer able to provide iTrail software that is supported on any Windows O/S prior to Windows 7.